There are quite a few reviews and editorials about the Ken Ham and Bill "I Played a Scientist On TV" Nye debate, so I am going to keep my remarks brief. No need for a full analysis, others are doing that rather well. Evolutionists and atheists are claiming victory. Creationists are doing the same, but are divided. Some of us (yes, us) are not claiming it to be a "slam dunk". 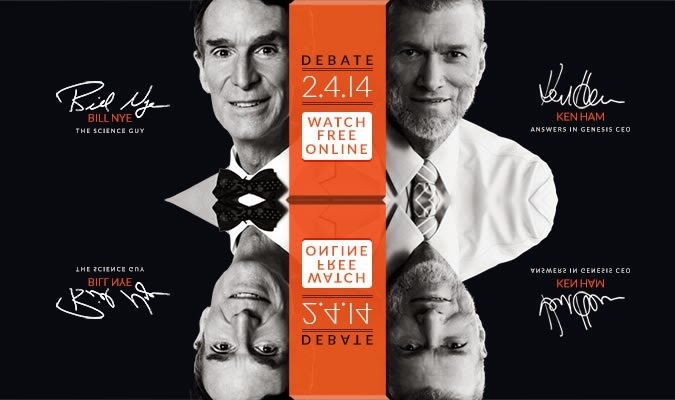 In an earlier interview, I stated that I expected Ken Ham to win the debate. I was right. Sort of. There were qualifiers, that Ham had to keep Nye on topic and watch out for logical fallacies. Nye did not disappoint, indulging in prejudicial conjecture (such as saying that the Bible is wrong, it can't happen, what about this that and the other, but didn't bother to do research on the topics, just made assertions), straw man arguments, elephant hurling (Nye was asking Ham numerous questions, but the format did not allow for proper responses), subtle ad hominem remarks and more. I can see why atheists love him, just like Richard Dawkins. They put into words the excuses that people already have in their minds for rejecting God and for not honestly examining what creationists really believe and teach. Meanwhile, Nye ignored the evidence that Ham presented and his questions that were posed early in the debate. This includes his long-standing question: "Can you name one piece of technology that could only have been developed starting with a belief in molecules-to-man evolution?" Nope. Bill Nye did not need to be there. 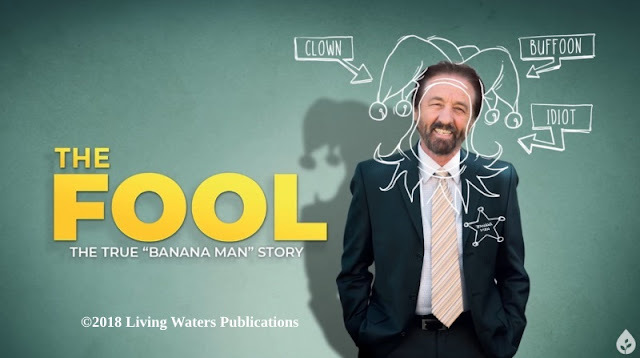 His elephant hurling, prejudicial conjecture and canned talking points were the kind of thing that creationists have to deal with far too often. People throw that junk at us, and then refuse to consider our answers or the links we give them. (For that matter, many critics of this site only read my introductions and do not bother with the important material that is linked.) Nye did that same schtick. I found his insistence on his talking points and refusal to see any of Ham's points to be disingenuous. Although courteous, there were some subtle insults about Ken Ham "and his followers". Sorry, Bill, there are thousands of creationists, and not all of them have even heard of Ken Ham, nor are they his "followers". Also, Nye's remarks about "this troubles me" regarding rejection of evolution (and his insistence on the fallacy of equivocating "science" with "evolution") struck me as irksome. Who appointed him as the guardian of science, and why does science have to be done his way? Especially since Ham showed that belief in evolution is not required to be an effective scientist! Ken Ham was kind and gracious, but not the dynamic speaker that I know he can be. He did not keep Nye on topic and "hold his feet to the fire" on some points, as one reviewer stated. Ham also rambled a bit, which was distracting, and did not stay on topic as well as he should have. I am glad that he brought up the fact that creationist scientists have models, such as Noah's Ark and geology, that they will disagree on (isn't that what science is for?) but they will agree on the Scriptures. I have to say that the moderator, Tom Foreman, did a good job. Some people were skeptical and thought he was being selective with the cards for the question and answer session. I disagree. Overall, the debate was somewhat disappointing for me. Ken Ham did present strong evidence and he proclaimed the gospel. Ken and I are unashamed that the Bible is our starting point. By the time the Q&A session was happening, I wanted it to be over so I could get back to organizing Question Evolution Day. But I went to bed instead, I have a job to go to. But know this, Ken Ham was proved right: this is about worldviews, not "evidence". Audio, Ken Ham interviewed on the Janet Mefferd show. The Truth, Fact Check: Did Bill Nye Tell A Huge Lie About The Fossil Layers? Mike Pilliod, ?…Ham on Nye…?